Below on DeafNewsToday.com is a video of a 29-year-old woman having her implant turned on for the first time. The video was shot by Sloan Churman's husband. Sloan writes, "I was born deaf and 8 weeks ago I received a hearing implant. This is the video of them turning it on and me hearing myself for the first time :)" The video has more than 2 million hits in just a few days. Take Shelter is a new film about a midwestern family trying to save enough money so their deaf daughter can get a cochlear implant. Writer and director Jeff Nichols enjoyed critical acclaim with his 2007 film Shotgun Stories. His new offering stars Michael Shannon as a Midwestern family man who awakens from a terrible dream convinced that a great storm is coming and that he must protect his family. He begins to build out the underground shelter in the back yard and before long his strange behavior has upset nearly everyone around him. Below (on DeafNewsToday.com) is the movie trailer. The North Carolina School for the Deaf beat the South Carolina School for the Deaf and the Blind fell 46 to 36 last night. The Bears are now 2-2 while the Green Hornets fell to 0-6. The two wins are a major turn around for the Bears after going through a winless streak of almost 5 years. Parents and students voiced their support for three schools that serve those who are blind or deaf in North Carolina. WNCT-TV put together the video below which is posted on Deaf News Today. A deaf woman in the UK says that while she's happy to have a cochlear implant, the surgery has left her without an ability to taste. While Soozie Tarkenter hopes her sense of taste comes back, the 40 year old says she'd rather be able to hear. Read more at the Mail Online. The National Technical Institute for the Deaf has named a new Special Assistant to the NTID President for Diversity and Inclusion. Read the story here. Sixty deaf immigrants are applying for asylum in the U.S. because they say they are being persecuted in their homelands. Read the story here. A Tennessee mom is facing assault charges after she confronted two teenagers who were allegedly bullying her deaf son. There is a video report below on DeafNewsToday.com from WRCB-TV. Read the print version of the story here. THE FCC is asking the public for feedback on its plans to extend its closed-captioning rules for TV to apply to PCs, tablets, smartphones, game consoles and set-tops. This is part of the Commission's effort to fulfill a requirement in the Twenty-First Century Communications and Video Accessibility Act of 2010. The commission has until January 12 of next year to change its closed captioning regulations related to IP. The proposal would not only obligate the owners of video programming to caption, it would require the program distributors to allow those captions - which must at least have the same quality as captions provided for television. The commission is also considering allowing a variety of delivery options rather than mandating a single standard, in hopes of promoting "technological innovation." Comments are due by October 18th. If you want to make a comment, click here. D&E Entertainment has bought the rights to The Hammer (formally titled Hamill) a film based on the career of UFC fighter Matt Hamill. It shows how the deaf wrestler won a National Collegiate Championship. Starring deaf actors Russell Harvard and Shoshannah Stern, it has won the AFI Film Festival’s Breakthrough Audience Award, the Cleveland Film Festival’s American Independent Award and the Heartland Film Festival’s Crystal Heart Award. The Hammer releases nationwide on October 27th. Find out more here. Kristine Hall will speak at Oxnard College tomorrow in Los Angeles. The Pierce College ASL instructor will share her story of growing up deaf in a deaf family. The presentation is called Deaf of the Deaf. For more about the speaking series, click here. The Gallaudet Bison are 1-2 this season in football after a win over the Apprentice School by a score of 14-3. Sophomore Michael Hantge had a touchdown and rushed for 72 yards at the game in Newport News. This was the first meeting of the teams since 2002 when the Builders won 23-5 in Washington, D.C. Apprentice School leads the all-time series 12-2. A job fair will take place Wednesday, Oct 12 at NTID (National Technical Institute for the Deaf) in Rochester, New York. Below you can see a video interview about the event if you are on DeafNewsToday.com. There are now more than 100 students at Gallaudet University with cochlear implants - that's twice as many as there were in 2005. The Washington Post reports there are rising tension on the campus over the issue, as the percentage of undergraduates who were mainstreamed is now up 44% - up 10% from four years ago. The newspaper has a side show about the school here. Virginia's Danville Community College will hold a Deaf Fest this Friday and Saturday. A film will be shown, provided by the Blue Ridge Deaf Films Society along with exhibits from organizations like the Virginia Association of the Deaf and the Danville Parks, Recreation and Tourism and a health fair and crafts, a cookout and more. A Des Moines hospital has settled a lawsuit over its failure to adequately provide sign language interpreters for patients. In one instance, a man was rushed to the emergency room with shortness of breath. But there was no interpreter provided before he died just hours later, even though his wife and a doctor pleaded for one. Hospital officials would only agree to contact two particular interpreters, both of whom were unavailable. The family filed a lawsuit against Mercy Medical as did the family of another deaf patient. In the second case, an interpreter was provided only part of the time. The patient's daughter was an interpreter herself who ended up interpreting for her mother during appointments. In the settlement, the hospital agreed to provide interpreters both in person and through video relay - as well as pay an undisclosed amount of money to the two families. The Oregon School for the Deaf won the team's homecoming game. The Panthers beat Alsea last night by a score of 66-12. Senior running back Jhonzell Burton was involved in scoring six touchdowns. Junior quarterback Kyle Emroe had 170 yards of total offense. The Panthers had a 42-0 lead just after halftime. Oregon is now 2-1 while Alsea falls to 0-4 overall. A French airline recently stopped a group of 18 deaf and hard-of-hearing passengers from boarding right before their flight was to take off. Air Méditeranée claimed they were of "reduced mobility" and therefore more crew members were needed tend to them. The French airline said it was a "security" issue, according to Newser.com. A columnist at Gallaudet University's student newspaper is concerned that "partying" is in decline at a school. He offers up a defense here. Over 300 people showed came to show their support for the Eastern North Carolina School For the Deaf in Wilson yesterday. Lawmakers plan to shut down one of the three schools for the deaf in the state. The other two schools under the gun are North Carolina School for the deaf in Morganton and the Governor Morehead School for the Blind in Raleigh. Below on DeafNewsToday.com is a video about the gathering from WNCN-TV in Raleigh. Read a review of the theatrical production The Mandrake, on stage now at Galladuet University here. The DeafNation Expo is coming to Flushing, New York this Saturday. You can find more details here. DEAFestival Los Angeles takes place this Saturday. There's more information here. A look at the new facilities for the Delaware School for the Deaf here. There is a special unit of 86 deaf soldiers battling against Gaddafi forces in Libya. Read about them here. Cochlear's recall of its best-selling hearing implant had hurt the company’s reputation and bottom line. The Australian company's stock dropped 20% on the news, wiping out more than $800 million of the company’s value. The Nucleus 5 mades up about 70% of Cochlear's sales and there is no clear indiction that Cochlear knows what's wrong with the unit. However, only about 150 of the 25,000 of the units have reportedly failed since its launch in 2009. While the Nucleus 5 goes on the shelf, Cochlear will go back to pushing its Freedom implant. This is the first major product recall in the company's history. Gallaudet's Logo Redesign Committee is looking for feedback on four designs it has picked for consideration to be the school's new logo. The committee has created a page that the campus community can access displaying all four designs.The comment period ends a week from Friday. A presentation will be given to the University Council next month at an open meeting. The final selection will be announced after October's meeting of the Board of Trustees. Read more here. Here's a video story from WLS-TV in Chicago about captioning at theatrical productions. Watch the video below on DeafNewsToday.com or read the story here. 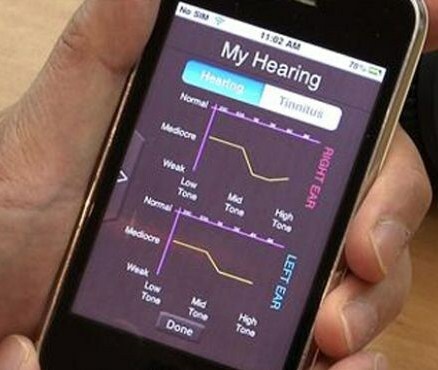 A new app called ACEHearing will adjust the volume of a smartphone based on the users hearing loss. The software is designed for people who have some hearing loss, but not enough to require a hearing aid. Rather than just making everything louder, ACEHearing fills in gaps in the range of sound the users has trouble picking up.The Chinese University of Hong Kong is one of the principal developers. The innovative app was a finalist in this year's Asian Innovation Awards and should be available next year. Read the story in the Washington Times here. 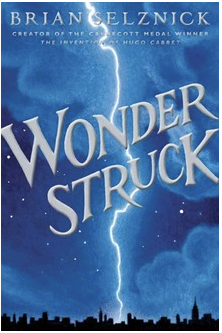 The New York Times reviews a new 637 novel by Brian Seiznick called Wonderstruck here. The reviewer writes, "Beyond its honorable message about the dignity of deafness, it teaches a respect for the past and for the power of memory to make minds." You can read more about the book here. Read about the Flint Michigan School for the Deaf’s football team here. Deaf Fest 2011 - A Cultural Celebration is being held this Sunday in New Brunswick, New Jersey at Middlesex County Fairgrounds. There is more information here. One of the contestants on Bravo's reality series Work of Art has been "profoundly and proudly deaf since birth." Leon Lim was born in Malaysia and now the 31 year old lives in New York. His first language is ASL and has used his art as an outlet to tell stories. A graduate of the Rochester Institute of Technology and the UK's De Montfort University, Leon dabbles in a wide range of art forms. His art has been exhibited around the world including the John F. Kennedy Center in Washington, D.C. His portrait work of Julian Assange was featured in the 2010 TIME Magazine's "Person of the Year" issue. Lim created the image of WikiLeaks founder using the text of a leaked cable. The show Work of Art pits eager artists against each other in a gallery battle royal on Wednesday's at 8pm, Eastern. Read more about Lim here. A hearing will be held next week about whether to close the North Carolina School for the Deaf. The Tuesday discussion at the Morganton Municipal Auditorium will take a look at whether the facility should escape state budget cuts. In June, the NC Department of Health and Human Services turned over North Carolina's three residential schools for students with visual impairments or those who are deaf/hard of hearing to the North Carolina Department of Public Instruction. There are plans to close one residential school and consolidate services at the remaining two residential schools. The other two schools under the axe are the Governor Morehead School for the Blind in Raleigh and the Eastern North Carolina School for the Deaf in Wilson. Hearings are scheduled for Thursday, September 22 in Wilson and Wednesday, September 28 in Raleigh. The Department has until January 15th to decide which school to recommend for closure. A former Oklahoma State football player will speak at a Special Needs Information Fair on the grounds of the Goodfellow Air Force Base in San Angelo, Texas a week from today. Martel Van Zant was a Cowboys starting cornerback, born without eardrums after his mother suffered from chicken pox while pregnant. There's more information here. The University of Oregon is now offering captioning at Autzen Stadium during home football games. The service is provided by LNS Captioning, based in Portland which also provides captioning services for the Eugene City Council’s webcasts.The university says it plans to eventually provide captioning for events taking place at the baseball stadium (PK Park), the multi-purpose arena (Matthew Knight Arena), and the track and field stadium (Hayward Field). You may remember the story we told you last year about 10-year-old Zahra Clare Baker, missing from her Hickory, North Carolina home. The deaf child was battling bone cancer and used a prosthetic leg. Investigators found her body spread across several places. The disabled girl's stepmother, Elisa Baker, has just pleaded guilty to killing and dismembering her stepdaughter. She could spend as much as 18 years in prison. Adam Baker, Zahra's father, has not been charged with his daughter's death. Below is a video of the step-mother being transferred to jail. A man from the Chicago suburb of Hazel Crest is facing first-degree murder charges for beating a 61-year-old deaf man to death in Evanston. 26-year-old Brandon Lee Allen only got $10 from the victim, John Costulas, who is from the Rogers Park area of Chicago. The FDA has approved MED-EL's MAESTRO Cochlear Implant for use in the U.S. The Austrian company with U.S. offices in Durham, North Carolina, says the new implant is the world's smallest, lightest and thinnest titanium device. it's 3/4ths the size of the industry's smallest implant. Some TV studios are starting to add closed captioning to their shows on iTunes. For instance, you can find captioning on Sons of Anarchy, New Girl and The Secret Circle for the current season of these shows. The six Oregon chapters of the Hearing Loss Association are walking a 5K to raise money to help people with hearing problems this Saturday. The walk starts at 10am at the World Trade Center in downtown Portland. For more information click here. If you have ever wondered what a cochlear implant operation looks like.. there is a video here showing the procedure at the University Hospitals Case Medical Center Cleveland, Ohio. Warning: the video is graphic in nature. The FDA has given its approval to Advanced Bionics for the cochlear implants company to once again sell the implant that it voluntarily recalled last year. Two patients suffered from severe pain and overly loud sounds for about eight to 10 days after the activation of the HiRes 90K. The news triggered a sharp drop in the stock share price of Sonova Holding, the Switzerland-based company that owns Advanced Bionics. But sell of the device will begin again after federal regulators approved the changes. Andy Bugh is kayaking some 4000 to raise money for deaf education. Bugh hopes to bring in $15,000 to build two new classrooms at a Honduran school in the town of Tegucigalpa for New Life Deaf Ministry, a Christian outreach. His trip started in Brower’s Spring, Montana, the furthest point that water originates and flows to the Gulf of Mexico, to the Red Rock River, the Beaverhead River, the Jefferson River and to the end of the Missouri River. From Plano, Texas, Bugh has a background in construction and works to add classrooms to the school each year. Right now, the school has enough classroom space to provide up to a 6th grade education. For more information, visit here. To see where Bugh is now, click here. Read a discussion of an implant recall from Cochlear LTD here. The Virginia School for the Deaf and Blind is at risk for security breaches and has some poor accounting practices. That's the finding of state auditors. The lax accounting issues have to do with a $71 million construction project at the school. The school superintendent says corrections are being made. A Federal Appeals court has ruled against the parents of students at South Dakota School for the Deaf campus in Sioux Falls. They filed a lawsuit to stop the school from closing and then appealed the decision. Now, they've lost an appeal. The 3 judge panel said state officials had legal authority to close the campus in favor of educating students with hearing impairments in local school districts. The newly formed Indiana Deaf Unity Against Domestic Violence will hold its first fundraiser this Saturday. The money raised from the 5K Walk/Run will help what may be the only organization in the state focusing on domestic violence for the deaf community. For more information you can write to one of the founders of the group at genperk@gmail.com. The EEOC is defending a deaf worker against Miles Kimball Co in Oshkosh, Wisconsin. The federal agency says the direct marketing company discriminating against the woman by firing her after it failed to provide her training using a new software program using ASL. She had been with the company for 13 years. The lawsuit filed last week ask for lost wages and damages. The National Association of the Deaf will hold a Leadership Training Conference in Minneapolis this Thursday through Saturday. Below is a video featuring some members of the Pink Deafies, a kind of social club for deaf breast cancer survivors. The Australian company Cochlear is voluntarily recalling its Nucleus CI500 line of ear implants because of failures of its CI512 units. This recall does not involve implants already in use and the company says less than 1% of these implants have failed since they were first sold in 2009. Still, stock shares of the Sydney-based company plunged as much as 27% on the news. The nearly 30 year old company has about 70% of the global market for hearing devices, while Switzerland’s Sonova has about 15% of the market. Gallaudet's football team lost to Catholic in a close one yesterday by a score of 45-41. The Bison led 41-24 with nine minutes to play when the visiting Catholic Cardinals scored three touchdowns in less then five minutes. In their 26 meetings, Gallaudet has never beaten Catholic. There have been two ties in the series that dates back to 1906. After woman loses husband in the 9/11 terror attacks, she learns ASL and works with the deaf. Read the story here. The Kansas School for the Deaf will soon reach its 150th anniversary. It's the oldest state educational institution in Kansas. Special events are planned in Olathe to mark the milestone, including a pep rally, volleyball game and the homecoming football game two weeks from today on September 24th. When blind students at the South Carolina School for the Deaf and the Blind recite the Pledge of Allegiance they will now have a better idea of what they are saluting. The Kate Barry Chapter of the Daughters of the American Revolution donated 17 tactile American flags to the school. Members of the group in Missouri hand-crafted the flags so that students can feel the 50 stars and the 13 red-and-white stripes. The school still needs another 57 flags. Federal authorities say a Texas man stole millions from deaf investors. Instead of investing more than $3 million from thousands of investors through Imperia Invest IBC, Jody Dunn, who is also deaf, used the funds to pay his mortgage, make car payments, and other personal expenses, according to the Securities and Exchange Commission. An entry in a video contest tells the story of a deaf woman who is having in vitro fertilization and is considering whether to have deaf or hearing child. The contest is called Gene Screen BC 2011 and is sponsored by the British Columbia Clinical Genomics Network. Three winners will be announced at a screening gala planned for September 26th in Vancouver. Find out more here. The North Carolina School for the Deaf may close by the end of the year. State officials are trying to save money and they may shut down the Morganton facility to do it. There are only three schools like it in the state and state lawmakers want one of them closed. The City Council of Southampton in the UK will debate next week whether to cut another teacher of the deaf from its schools. Three have already been let go in the last couple of years, leaving only 5 for several hundred students. Meanwhile, the parents of students in the souther port town have collected more than 1500 names on a petition calling on the Council not to make further cuts. They have the support of the National Deaf Children's Society. Saint Luke’s Midwest Ear Institute has performed its 1000th cochlear implant operation. The Kansas City, Missouri facility has been in operation since 1980. Charles Luetje performed the procedure on 73-year-old Dan Neuenswander. He received a new hybrid implant as part of a national clinical trial. It's smaller than a traditional implant, and inserted only partway into the cochlea, replacing high pitches while leaving the patient’s natural low-pitch hearing intact. Screamfest 2011 takes place in Los Angeles October 14 through October 23. The 11th annual preeminent horror festival includes the premiere of a film called Cassadaga from director Anthony DiBlasi (who also created Dread). It's the story of a deaf girl attempting to contact her sister during a séance - only to find herself in communication with a murdered woman. For more information click here. Gallaudet woman have picked up two volleyball awards from the North Eastern Athletic Conference. Freshman Kali Frowick was named NEAC Women’s Volleyball Student-Athlete of the Week while junior Jessica Israel was selected as the NEAC Women’s Volleyball Defensive Student-Athlete of the Week. The Bison posted a perfect 4-0 record in Gettysburg, Pennsylvania recently at the Battlefield Classic. Frowick was named to the Battlefield Classic all-tournament team. The Bison are off to Seguin, Texas, Friday when for the Bulldog Classic hosted by Texas Lutheran. The Smithsonian offers a short piece on a "remarkable series of films made between 1910 and 1921" by the National Association of the Deaf about the value of sign language. Read the story here. Rangers in Yosemite National Park say they are ready for deaf and hard-of-hearing visitors. The park's Deaf Services Program offers sign language interpretation. Assistive listening devices are available in most visitor centers and at tourdesks. you'll find public TTYs and volume control telephones throughout the valley as well as at park hotels. Here's a video with more information. "How to Connect Your Brain to the Internet"
Technology theorist Michael Chorost will speak at Gustavus Adolphus College in St. Peter, Minnesota this Friday afternoon. Chorost wrote about receiving a cochlear implant in his book Rebuilt: How Becoming Part Computer Made Me More Human. The book won the PEN/USA Book Award for Creative Nonfiction in 2006. The topic of his Friday talk will be World Wide Mind: How to Connect Your Brain to the Internet (And Would You Want To). For more information, click here. Where Does Captioning Come from? You may not know Deanna Baker by name, but you may know her work She is one of the people who types the captions for national television, broadcasts, working out of her home in Flagstaff, Arizona. The one-time court reporter can type 260 words a minute on a stenographer's machine or 120 words per minute on a standard keyboard. A software program instantly translates her furious typing into English and sends it to televisions across the nation. Baker has been on the job for decades. She recently captioned the weather coverage of Hurricane Irene. No charges will be filed against a driver of a PT Cruiser in Cedar Rapids, Iowa who hit a deaf man yesterday. Police say sunlight blinded 24-year-old Jenna Harris who slammed into Duane Imoehl as he was crossing the street. The Scranton School for Deaf & Hard-of-Hearing Children has just moved into its new home. A local paper takes a look at the new facilities here. Katie Leclerc is taking a guest role on the CBS show The Big Bang Theory which returns with new episodes later this month. The actress who stars as Daphne on the ABC Family show Switched at Birth will appear in the fourth episode of the upcoming Big Bang season which is set to air October 6. She will play the role of Emily, who is deaf and will be a love interest for the love-challenged scientist Raj (Kunal Nayyar). A West Virginia woman is suing her local school board for forcing her deaf daughter to attend a particular school. Regina Pine says she wants her daughter, Ariel Depp, to attend the school next door to their home, South Charleston High School. But the the Kanawha County Board of Education is making Ariel travel to Capital High School, where Pine claims an interpreter harasses her verbally and intimidates her. The board says Capital is the only high school in the county equipped to teach deaf children and the school's principal says the stories of harassment are made up. Former Houston Rockets center Yao Ming is partially deaf. The NBA star says he hasn't been able to hear out of his left ear since he was eight years old. He was taken to the hospital after days of a fever where they discovered he had a kidney problem. He was allergic to medicine he had been given. 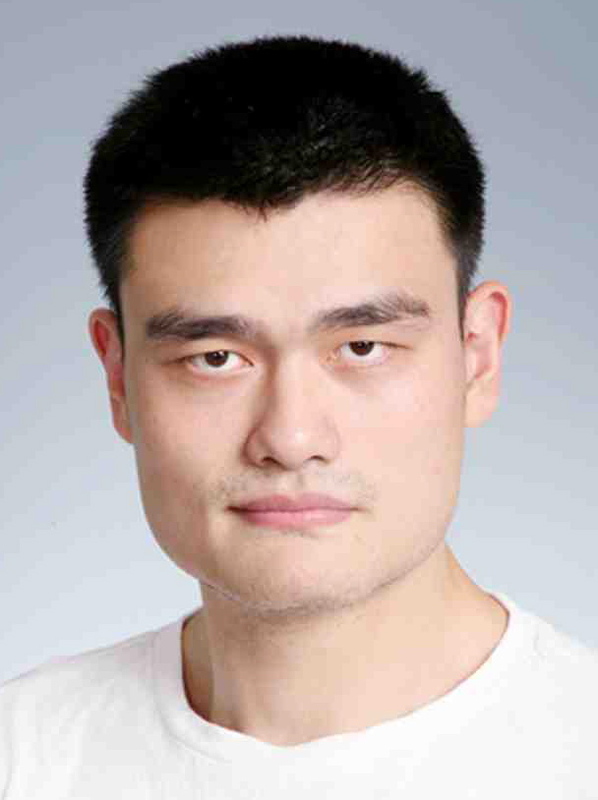 Ming is retiring after playing basketball in his native China and an eight-year NBA career. WTAE-TV reports on bullying on a Pittsburgh school bus in the video below (no captioning). A Chicago-land deaf chat is profiled here. KDFW-TV files the video report below about problems getting students to school in Dallas. You can read the story here. Vancouver movie theaters aren't providing deaf patrons the quality of service they deserve. That's the view of Lisa Anderson-Kellet who says she has gotten about 10 free passes in just a single year because the captioning wasn't working properly at theaters in the area. To make matters worse, there are only a few places with the needed equipment. The largest movie theatre chain in Canada, Cineplex, only has three theaters in the Vancouver area that can serve the deaf and hard of hearing - and these theaters often only have one captioned movie available. The Provo, Utah Daily Herald has an article about a deaf high school cheerleader here. Gallaudet lost its opening football game yesterday to Otterbein by a score of 28-27. The Bison had a chance to win in overtime, but failed to score on a two-point conversion attempt. Each team scored a touchdown during overtime and Gally decided to go for the win by trying for two points. Judy Hodak took home top honors at the Buckeye Ball with the help of her dance instructor, Travis Manero. The contest took place in Independence, Ohio (near Cleveland). The pair performed a rumba-style dance without music to accompany them because they wanted to give spectators a sense of how the 58-year-old Hodak lives. Manero owns part of the Fred Astaire Dance Studio in Boardman. Below is a video report from WFMJ-TV. You can read the story here. Rachel Coleman of Signing Time will perform at Washington Cathedral in Redmond, Washington this Saturday. The event is sponsored by Signing Time Foundation. There's more information here. Debate: "Do States Need Schools for the Deaf?" The National Association of the Deaf is responding to the New York Times published debate as to whether "States Need Schools for the Deaf". You can read it here.